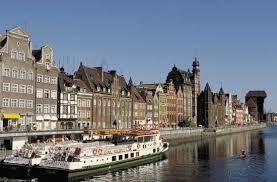 Gdansk is one of the oldest cities in Poland. It is considered an important city as this is the location of the start of WWII and where the fall of Communism began in Central Europe. Gdansk forms a large metropolitan area along with its neighboring Gdynia and Sopot becoming known as Trojmiasto or Tricity. Tourists find this area particularly interesting as there are lots of architectural and cultural relics to see. You can get a look at what life was like in the late 19th and early 20th century in the Wrzeszcz Dirstrict. When visiting Gdansk remember to purchase some amber as this golden gem is considered to be a classic souvenir of Gdansk. 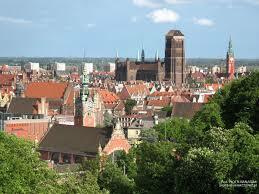 You’ll find the first Amber Museum in Poland here in Gdansk. The city has cultivated the tradition of amber art and lies at the crossroads of contemporary and historic amber routes. In the museum you’ll be fascinated by the permanent collection “With Amber through the Millennia” consisting of two parts: amber in nature and amber in culture. Visitors have the possibility to learn about the origins of amber and its different types, view old amber treasures and objects which are related to the amber craft. You will also get a look at how amber was processed and the amber routes of Ancient Europe. The Central Maritime Museum has an interesting collection of exhibits relating to the history of sea ports and shipbuilding. Here you can also see interesting models of Slavic boats, Gdansk’s medieval ships, warships from the 16th and 17th centuries and a lot more. There are also models of vessels from Oceania, Indonesia and Africa on display and an art collection with a maritime theme. If you are a lighthouse lover like I am you’ll enjoy seeing the Lighthouse in Gdansk New Port which is one of the loveliest lighthouses in Poland. It was built back in 1894 and has been in operation for over 100 years. The lighthouse stands 27m tall. It was opened to the public in 2004. Inside you can see preserved optical equipment and an outstanding lighthouse exhibition. You can experience wonderful views of the Port of Gdansk, Westerplatte and the entire Gulf of Gdansk. An impressive monument raised to commemorate the victim’s of the worker’s revolt that occurred in Poland in December 1970 is the Monument to the Fallen Shipyard Workers and is also known as the Three Crosses Monument. The monument consists of three crosses all at a height of 42m and weighing 36 tons. An anchor is suspended from each cross. At the lower part of the monument there are bas-reliefs with scenes from the lives of the shipyard workers. On it is engraved a quotation from the Bible Psalm 29 and part of a poem by Czeslaw Milosz “You Who Wronged”. There is also a plaque with the names of all of the people who were killed. Whether you are traveling with children or not you will enjoy seeing the Gdansk Zoo. This is one of Poland’s best zoos located in the Oliwa forests. Among the most favorite animals for children are the elephants, hippos and chimpanzees. There is a lot to see and you can spend a whole day here walking about the zoo. There are additional attractions as well. You can take a train tour of the entire park and a central food area offers kiddy and pony rides. You can also find places to relax and stroll in Gdansk like Ronald Reagan Park which is the biggest park in the Tricity. The park is near the beach and stretches for more than 200 hectares that include woods, ponds and walkways. For outdoor activity there are bike paths, a skating park, playing fields and a large playground for children. There is a statue dedicated to President Reagan and Pope John Paul II. A wonderful 10 hectare park is Oliwa Park. Here you can delight in a Chinese garden, an English style garden, a botanical garden and a palm house. This is the place where people come to relax, stroll, enjoy themselves and picnic in the good weather. The park also has a fun attraction known as Whispering Caves and two people can stand in each “ear” and have a conversation in the quietest of whispers. Gdansk has a whole lot more to offer and delight tourists. 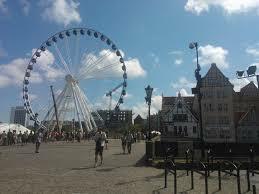 So while you are deciding what else you might like to see you can take a ride on the Gdansk Panoramic Wheel which has 42, 8-people cabins and takes you on a ride 55m into the air. You can get spectacular views of the Old Town and the surrounding area. If you wish there are 4-people VIP cabins available for hire.